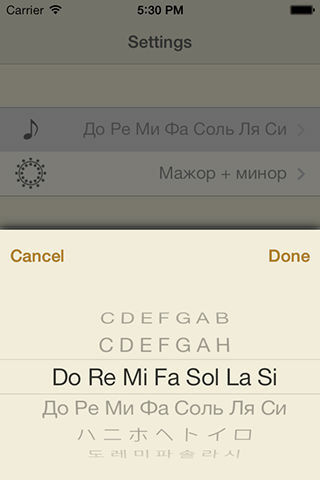 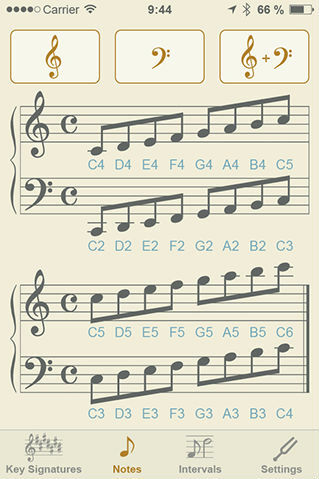 Read sheet music quickly and effortlessly like a pro. 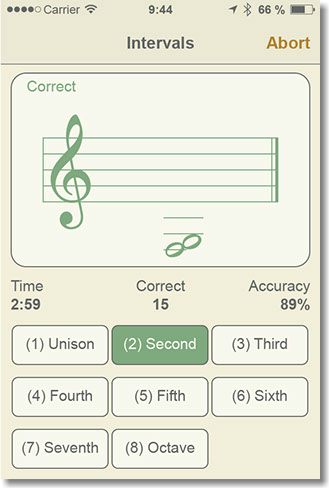 Learn to recognize key signatures, notes and intervals in a blink of an eye. 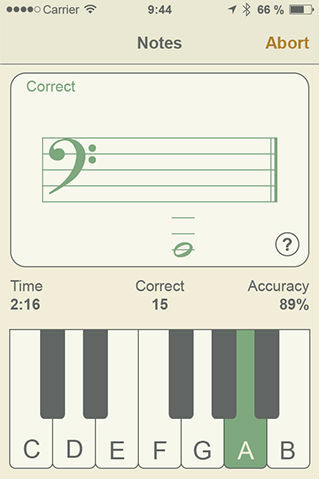 Three independent learning modules in one app. 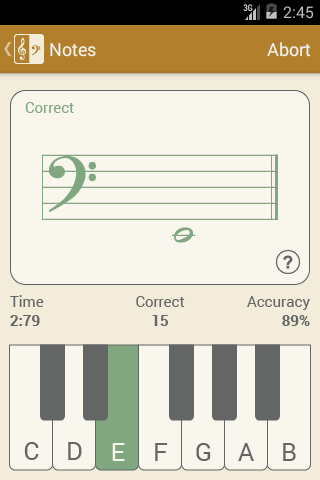 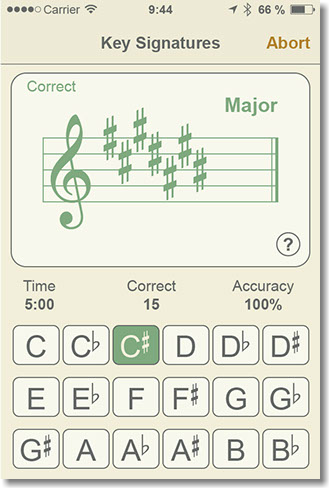 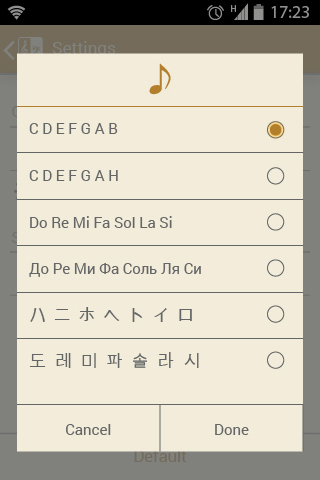 Set aside 5 minutes a day for this app, and you will read sheet music as a professional musician in no time. 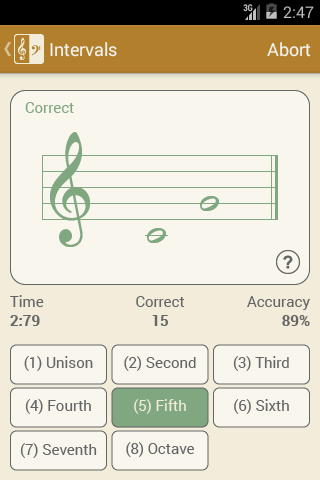 The app uses an ingenious approach to memorizing information through repetition and visual patterns with focus on hard-to-remember pieces of information. 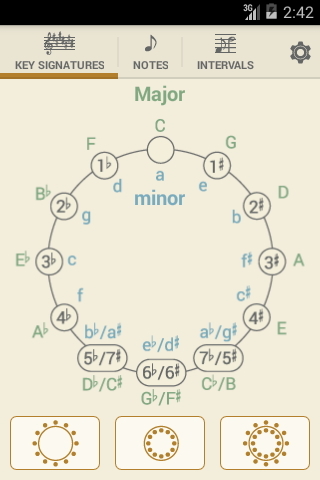 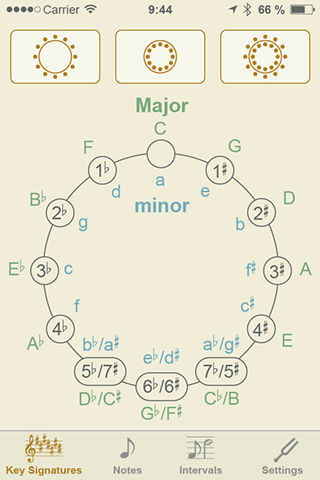 This module will help you memorize a circle of fifths – a must for every musician. 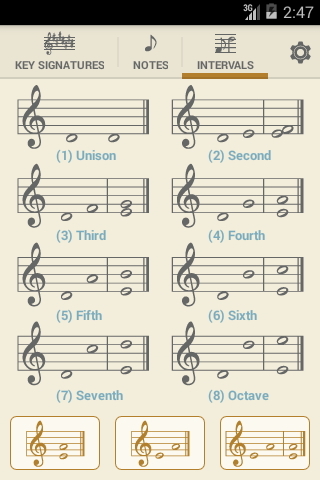 You will learn to recognize keys based on the number of sharps or flats in a key signature at the beginning of a staff. 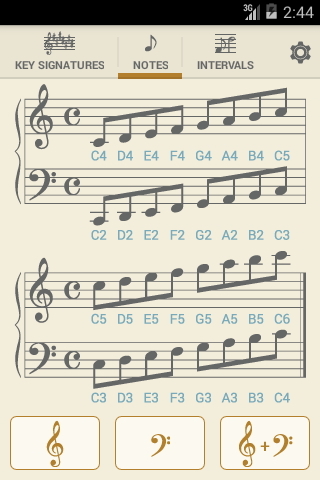 This module will teach you to quickly recognize notes without thinking – you’ll look at it, and you’ll simply know it. 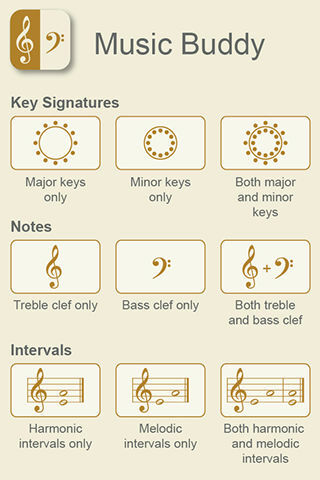 This module is especially helpful for pianists (among others). 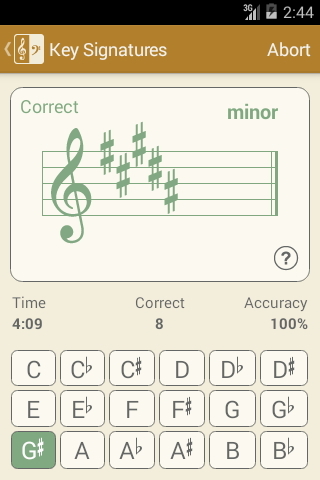 Skilled pianists don't need to identify every note in a sheet. 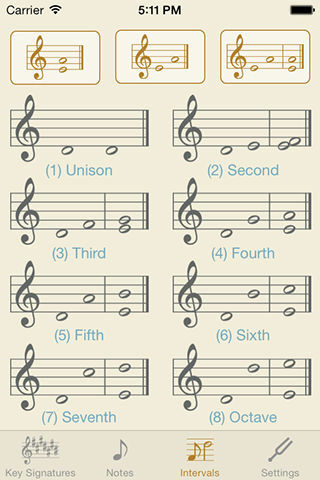 They recognize patterns based on the distance of notes (intervals) and automatically stretch their fingers accordingly.